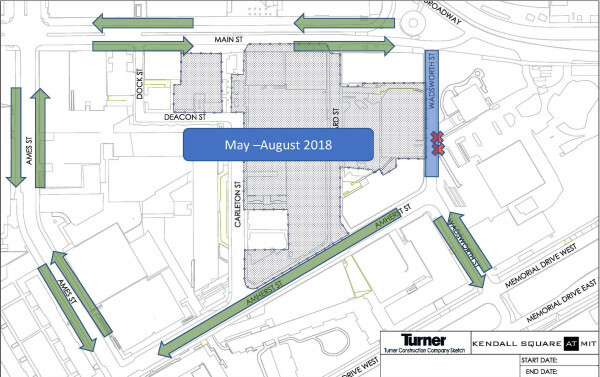 The block of Wadsworth Street from Amherst Street to Main Street will be closed to vehicular traffic beginning on Saturday, May 5. 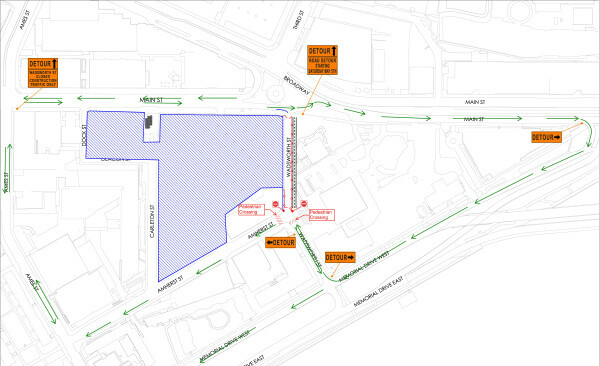 Amherst Street will remain one-way during this time. Details of phases 2 and 3 of this work are below. Police details will be present during work hours to help guide vehicular, bicycle, and pedestrian traffic through the area. Access to Sloan and Eastgate lots at Wadsworth Street reopens. Main Street entrance to lots remains two-way throughout.